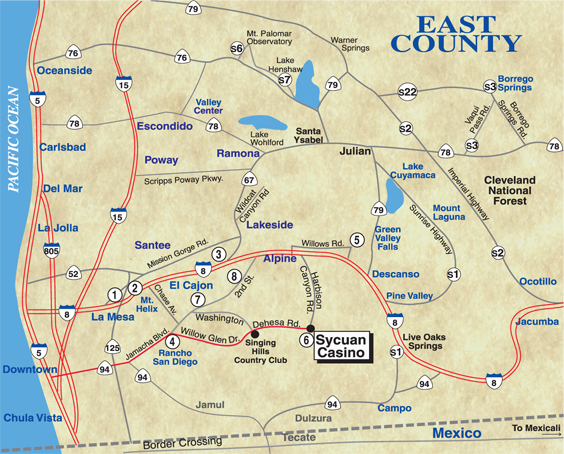 Agua Caliente Airstrip is north of Interstate 8, on County Highway S2, 95 miles east of San Diego. The County Department of Parks and Recreation (DPR) has leased State lands for park and recreational purposes, namely the Agua Caliente Springs County Park, since before 1988. 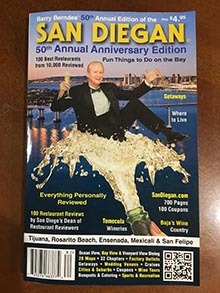 In 2008, DPR entered into a new 20-year operating agreement with the State of California to provide for the development, operation, control, and maintenance of the park, consisting of approximately 900 acres. 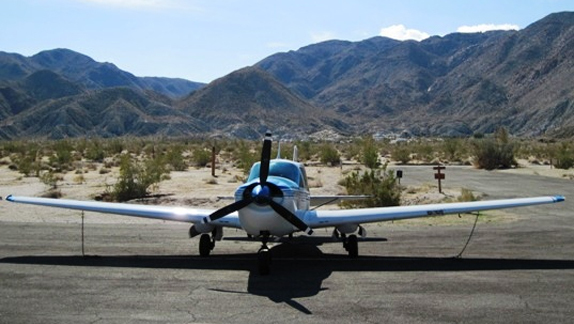 Under terms of an agreement with DPR, County Airports is responsible for development, operation, control, and maintenance of the approximately 55-acres Agua Caliente Airstrip within this park for the same 20-year period. 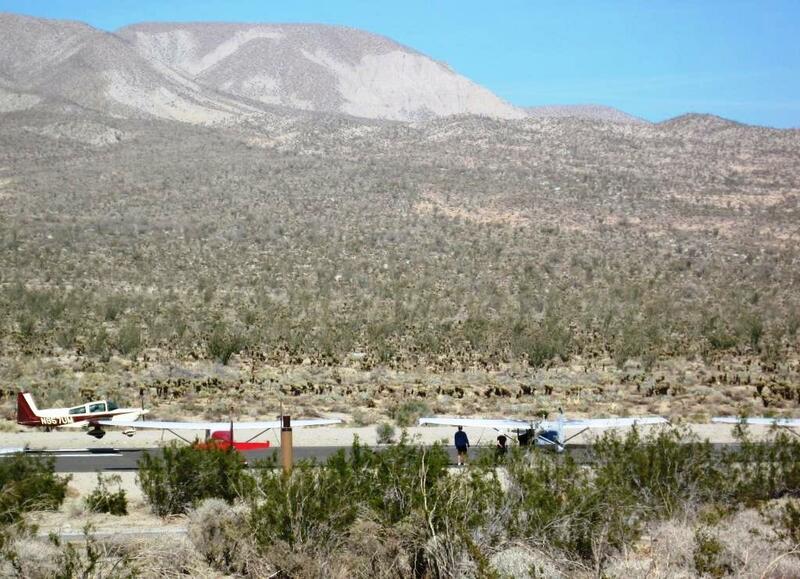 County Airports may use the area as a public airstrip and for aircraft overnight parking or other aviation purposes. 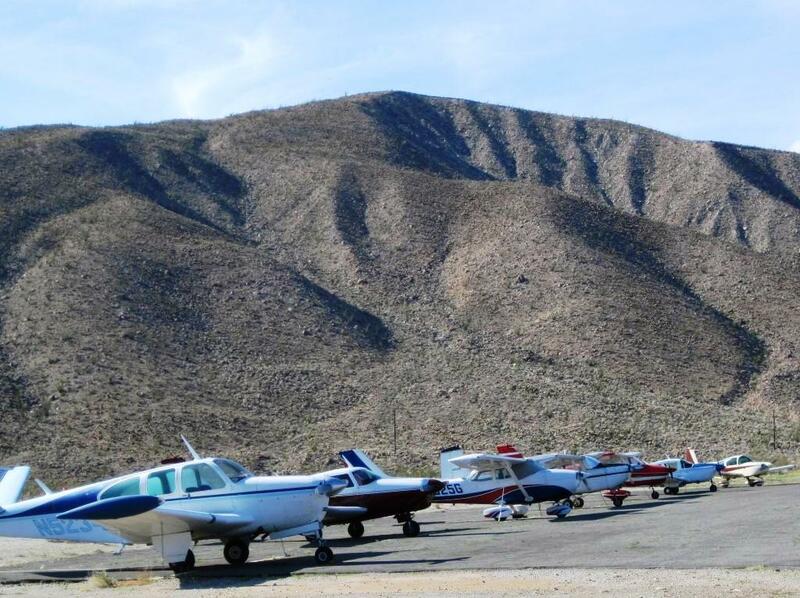 Non-aviation use of the Agua Caliente Airstrip is strictly prohibited. The airstrip is within an easy walk to the park which features geothermally-heated springs and pools, hiking trails and panoramic vistas. A small store adjacent to the park sells supplies and curios. The park has picnic areas, 140 campsites and two naturally-fed pools for guests. Hikers can roam miles of trails which meander through canyons and hillsides and offer spectacular views of the Anza-Borrego Desert. A relatively abundant water supply supports a wide range of desert flora including acacias, willows, palms and mesquite. And, depending on rainfall and season, there are many wildflowers and succulents. The park is open from Labor Day to Memorial Day. 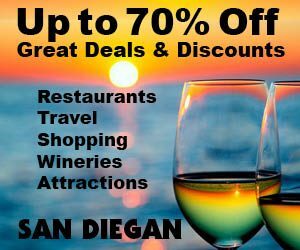 For park reservations call (858) 565-3600. 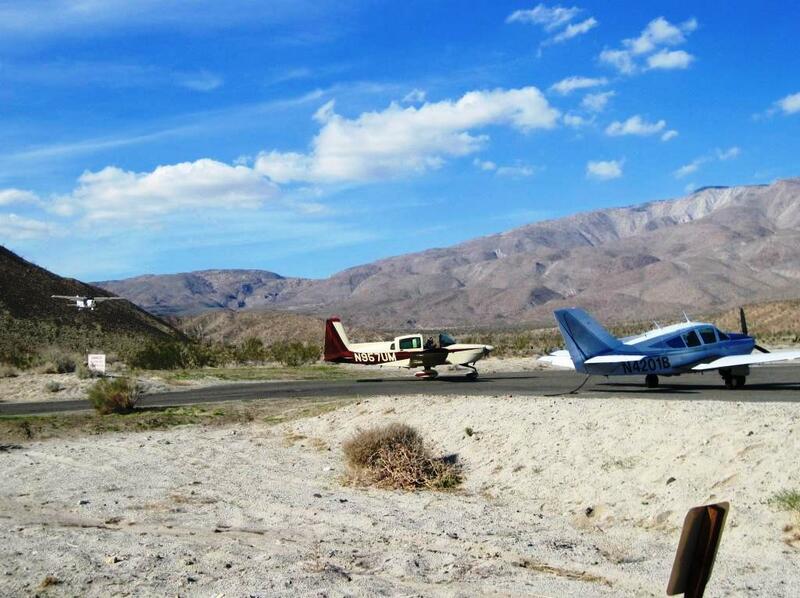 A single, paved runway, paved tie-down area and vehicular parking are the only facilities available at the airstrip.